This is what stability looks like. Gone are the days of observing a Federal Housing Administration  (FHA) directed by unconfirmed “acting” leaders, an appointment wielding only enough power and gravitas to act as a caretaker at best. Now, despite an unnecessarily lengthy confirmation process, the FHA has a confirmed, bona fide Commissioner in place with the power and vision to guide it into the future. In the months leading up to his confirmation, Commissioner Brian Montgomery made it no secret that he would use his status as the unquestioned leader of the FHA to make changes necessary to better align its business practices with the realities of mortgage servicing in a post-crisis era and strengthen the Mutual Mortgage Insurance Fund  (MMI Fund) for years to come. Confirmation politics behind him, the Commissioner now has an opportunity. 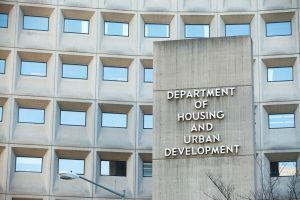 On November 15, the U.S. Department of Housing and Urban Development  (HUD) released its 2018 annual report to Congress, detailing the economic condition of the MMI Fund. While the FHA’s progress in the last year—an insurance in-force of $1.26 trillion on more than 8 million mortgages and an economic net worth that grew by $8.12 billion from 2017 to $34.86 billion in 2018—is commendable, the data within the report highlighted additional opportunities for strategic changes that could strengthen the health of the MMI Fund to the benefit of taxpayers and homeowners. First and foremost, FHA should adjust the Claims Without Conveyance of Title (CWCOT) program to encourage expansion and discourage conveyance of properties to HUD. Although in existence since 1987, the CWCOT program has seen increased emphasis in recent years because it allows servicers to avoid the time-consuming and expensive process of conveying the property to HUD. The data from this report clearly confirms what many in the industry see throughout their books of business: the expansion of the utilization of CWCOT where appropriate would limit loss exposure and provide additional savings for the MMI Fund while benefiting communities by preserving the condition and accelerating the sale of foreclosed properties. But there is room for improvement in the program. In the near term, FHA should focus on offering clarifying guidance on valuation and sale protocols that would encourage the use of CWCOT. A majority of servicers interpret FHA’s current guidance of permitting them to use an independent, third-party provider (auction company) where permitted by jurisdiction to “conduct the foreclosure sale and market the property prior to such sale” to mean that a third-party provider is not permitted to provide marketing services in areas where foreclosure sales are conducted by state and local governments. This limits CWCOT to 23 states where third-party providers are permitted to “conduct” foreclosure sales. In contrast, Veteran Affairs (VA), Rural Development (RD), and government-sponsored enterprises (GSEs) authorize third-party providers to market properties in jurisdictions where foreclosure sales are conducted by state and local governments, thus increasing visibility and competition and resulting in higher sales proceeds. Clarification of policy to allow third-party providers to offer marketing services in jurisdictions where state or local governments conduct the sale will not only result in greater leverage of CWCOT and lower losses for FHA but will also expand CWCOT’s reach to all the 50 states. The first priority is making improvements in the use of distressed asset comparables on appraisals for CWCOT properties. Currently, lenders using the CWCOT method must use an “As-Is” FHA appraisal to determine the Commissioner’s Adjusted Fair Market Value (CAFMV). While the current protocols under CWCOT provide direction to lenders on conditioning the appraisal, they do not provide guidance permitting the use of distressed property comparables to ascertain value. A more detailed guidance from HUD and the FHA to establish that distressed sales may be used as comparables for CWCOT appraisals when appropriate would better reflect the true market value of distressed assets, support a more accurate CAFMV, and align CWCOT guidance with HUD’s REO appraisal protocol. The second important piece of guidance would be to ensure a more accurate CAFMV on the date of sale. While FHA’s current guidance acknowledges that pre-acquisition appraisals may not accurately reflect property condition, it does not provide for a resolution. A more detailed clarification from the FHA such as allowing appraisers to make a new appraisal when there is a material change to the circumstances of the property (including but not limited to change in occupancy status or expiration of the original appraisal) that would affect the CAFMV will ensure a more accurate fair market value. More accurate CAFMVs promote increased third-party sales and by promoting increased competition for properties and ultimately benefit the MMI Fund. FHA is on sound footing and, under the leadership of Commissioner Montgomery, is modernizing its business practices. Issuing the above-described guidance would be another step in the right direction toward maximizing recoveries through CWCOT and the mortgage industry stands ready to work with all interested stakeholders to promote the health of the MMI Fund for the benefit of homeowners and taxpayers.